If you are attempting to summit Mt. Fuji on your own outside of the "In Season" please report to the local police department for your own safety. Notify them of your plans and contact information using the form below. Fuji Mountain Guides does not take any responsibility for your safety outside of our tours. The “In Season” on Mt. 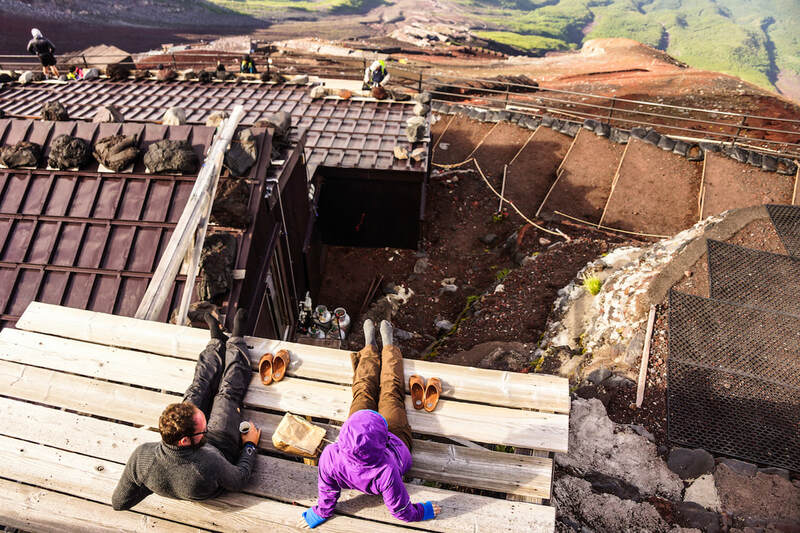 Fuji refers to the period between June through August when mountain huts are in operation. “Off Season” is when a majority of mountain huts are shut. 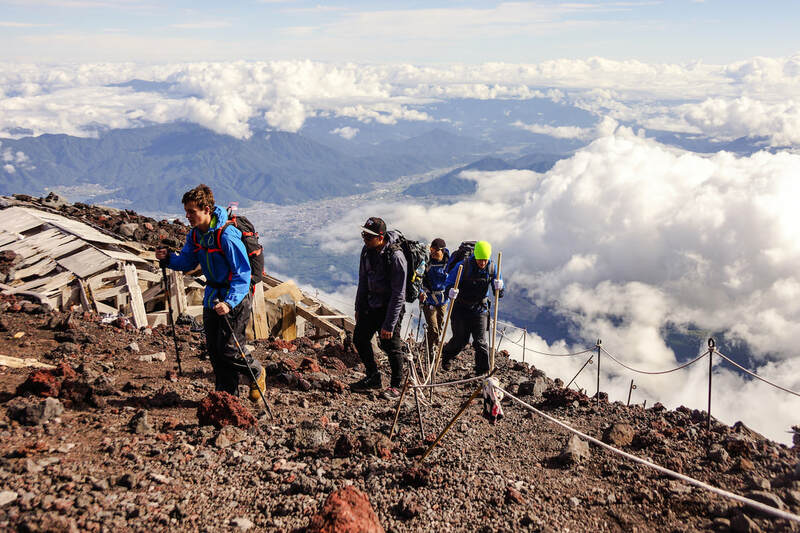 Fuji Mountain Guides operates tours to the summit of Mt. Fuji through mid-October or until the first big snowfall, whichever comes first. During the in season, Mt. Fuji is relatively safe with emergency evacuation vehicles and personnel ready to respond to the high number of hikers on the mountain. Huts are also able to provide basic shelter and first aid. 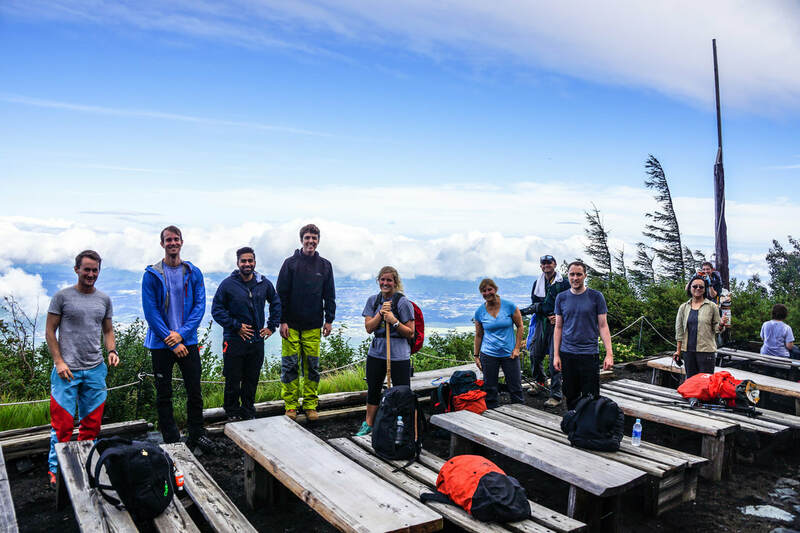 From mid-September, most mountain huts will close due to the decrease in the number of people visiting Mt. Fuji. Evacuation vehicles and rescue personnel are also not as abundant compared to the in season. There are no restrictions on hiking Mt. Fuji during the off season. You may see signs saying trails are closed, but this is an indirect way of saying “climb at your own risk.” Fuji Mountain Guides operate off-season 2-day tours up Mt. Fuji from mid September to October 15 each year. FMG does not take any responsibility for your safety in climbing Mt. Fuji outside of our tours. Winter on Mt.Fuji is usually between late November and late March/mid-April. Snow, ice, avalanche, and severe wind on the mountain are common. Summiting Mt. Fuji during winter should only be done by experienced mountaineers. Ice axes, crampons, winter gear, and avalanche safety knowledge are required. From late April through late June, there will still be snow on the trails leading up to the summit of Mt. Fuji. The risks of avalanches still exist and the use of winter equipment are necessary for a safe climb. Fuji Mountain Guides does not take any responsibility for your safety outside of our tours.